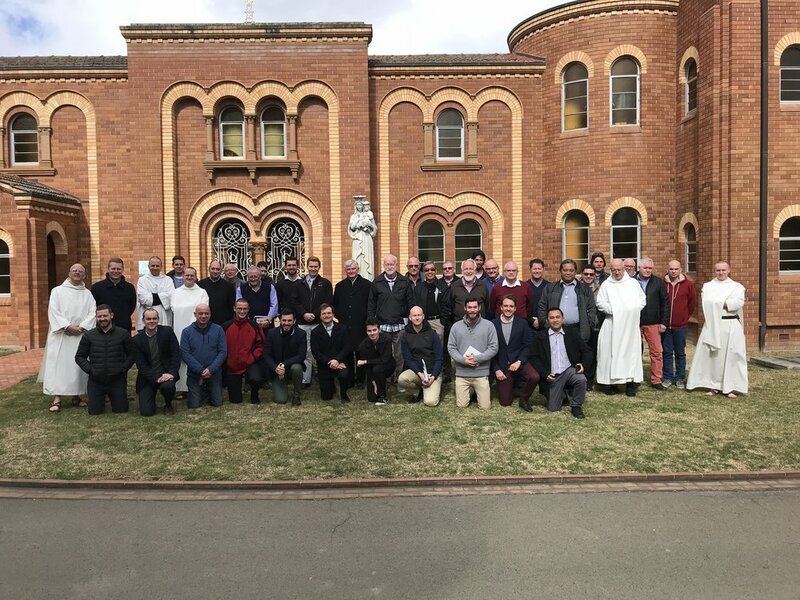 Father Prior along with four of the brethren as well as Fr John Dupré from Flavigny are in the middle of men's retreat at Hartzer Park Retreat Centre in Burradoo, NSW. 41 men are taking part in this event, the first one ever to be organised in the winter months. Here is a photo taken after the "meal of the prodigal son".